(Edit: Are you looking for the current Worldbuilders fundraiser? If so, I’m afraid you’re in the wrong place. What’s that you say? You want to make the world a better place while simultaneously winning fabulous prizes? This year we’ve got a couple different options for donating. This is the option most people will want. It’s simple. You hop directly over to the page I’ve set up on Team Heifer, and donate. When you donate on that page, two things happen. 1. Worldbuilders will match 50% of your donation. That means your ten-dollar donation becomes fifteen dollars. If you donate two goats, it becomes three goats. And so on. 2. You’ll be entered in the lottery. After the fundraiser is over on February 7th, we’ll have a random drawing for all the swag that’s been donated. More than a thousand books, comics, DVD’s and other cool miscellany. For every 10 bucks you donate, your name will get entered into the drawing once. If you donate thirty bucks, your name goes in three times. Think of it as buying tickets, if you like. We’ve had *way* too many books donated for me to post them all up at once. So I’ll be putting up a blog full of donated books every few days, just to keep people from being overwhelmed with all the awesome. Make sure to check back often to see the new cool. Last year, readers and geeks of all creeds and nations donated over $190,000. It was a stunning display of generosity and goodwill. Still, I think we can do even better this year. But rather than set our goal too high, here’s what I’m going to do. I’m going to set our initial donation goal at $50,000. As soon as we meet that goal, I’ll personally add a blog full of new stuff to the lottery. Then I’ll raise the bar to $100,000. We’ll repeat this in $50,000 increments until I am penniless, living on the street. Or until the end of the fundraiser on February 7th. Link to the donation page is HERE. Option 2: The Sure Thing. Or, as I like to think of it, the Christmas Present Option. For those of you who aren’t interested in the lottery, we have some stuff you can just buy. Our store, lovingly named The Tinker’s Packs, has posters, signed books, and other delicious miscellany available for purchase. All proceeds go to Worldbuilders, of course. Last year, we printed up some t-shirts and were amazed at how much people liked them. So this year, we’re adding something new to the mix. In keeping with our bookish theme, we’ve teamed up with artist Lee Moyer to produce a pin-up calendar with a literary theme. You can read the blog I wrote about the calendar or head over and buy it on the store. We’ll be posting new stuff in the store over the next couple months. So stay tuned…. Last year we did a few auctions and they seemed to work out pretty well. So this year we’re continuing in that fine tradition, auctioning off some of the rarer and more specialized services people have donated. This year we have professionals who are willing to read and critique your manuscripts. We have signed art and rare books. We have the chance to win guest appearances in comics and get your name into upcoming books. Stay tuned, as we’ll be adding new auctions all the time. For a full listing of all current Worldbuilders auctions, you can CLICK HERE. Lastly, I’d like to ask everyone to please read the instructions/directions carefully before they donate. I know you’re excited. I’m excited too. We’re going to raise some money, make the world a better place, and end up with big warm fuzzy feelings. I know I’m bound to get one or two e-mails like this. No biggie. But each one is like a cold drop of water eroding my warm fuzzy feeling. If I get, say, a hundred of these e-mails, I’ll have no warm fuzzy left at all. I’ll be left with nothing but a cold prickly feeling. You don’t want to give me a cold prickly, do you? I’m sure you don’t. And I’m sure that you’ll read the instructions carefully. Lastly, just in case you missed it, here’s one more link to our Team Heifer donation page. Sweet! Now, I’m *extremely* psyched that today is payday! Woohoo! Wow. Less than 15 minutes and we’re already over a thousand bucks. I think this is going to be a great year…. I know in the past you’ve offered the “your request is granted” in the lottery where the winner could ask pretty much anything and get it if they won. Are you doing that again? Anywho consider this blog shared! And may we bring you lots of warm fuzzies this year! The Subterreanean Press link in this blog is broken. It works in the RSS feed though. The Heifer donation meter isn’t loading. I suspect this is because the site is so busy with people making donations it can’t be bothered witha banal thing like updating its graphics. Once again, legions of geeks crash the Internet. Yay. Also, as a reminder to eBay sellers: Heifer can be selected as an option to donate a portion of auction proceeds via eBay Giving Works. I think someone mentioned something about possibly getting human shipping rates to europe (25$ at the moment) from the tinker packs. Any update on that? Sorry, that’s just how much it costs us to send a package that far. Sometimes, depending on which country we’re shipping to, we even lose money on the deal. If you want to cut down on the per-item price of international shipping, consider teaming up with a friend and splitting the cost between the two of you…. Awww. Okay, thanks for the info. Time to round up all my friends and force them to shop so I can get my signed wise man’s fear ;-). Hell yes! I’ve been waiting for this for a while, super duper pumped!!! In for cash and Tinker’s Packs treasures! What diabolical things have you done for previous “Call in a favor from Rothfuss” winners? Do you have a genie rule where they cannot wish for more wishes? Hey Pat, one question, which might put a drop of cold water on you, but I sure hope not. I was very careful when I put in my address for donation. It has my correct billing address, and a shipping address. Understanding that this is ending on 1/31/12, I used my business address for shipping since I’m moving at the end of March. However, my company is also moving at the end of June, so I’m just concerned that, with the incredibly large amount of donated swag you have to give away from this, it could take a while to get through it. Is this something you think would be a problem, or am I just worrying over nothing at all? Just wanted to say that you are one of those rare people who are really and profoundly inspiring. I love your book and what you do here with worldbuilders. And I am extremely impressed by how you manage to do all that time and energy consuming work on your own. I thank you for being the man you are Mr. Rothfuss. You are one of my role-models. I’m all about gaming the system for my (and in this case, needy families) benefit. Many employers including mine have a charity donation matching policy in place. 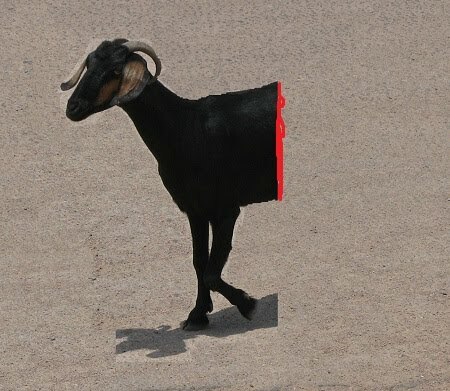 So if I donate to Heifer via Worldbuilders through them, my goat actually becomes something like 2.25 goats when it’s all said and done. So here’s my question. You mentioned in an earlier post that Worldbuilders is registered as a nonprofit with it’s own 501(c)(3), is that right? If so, I can direct my donation from my company to Worldbuilders and get the double dip? Selfishly, is there a way to use this method and still get in the lottery? Finally, do you think that there are enough readers/donors in this situation that it’s worth putting something about it in the Worldbuilders directions on the blog? Thanks for doing this great work! Can’t wait to give some goats! I may just be blind, but how do you give a goat? I just see the box to give money. Is there a certain amount a donating person can donate in which they would be able to request their own return? Liiiike a signed copy of the end of the King Killer Chronicles by Mr. Rothfuss himself (just the signature mind you, the book would already be purchased – hypothetically). After the book is released and on shelves of course, so as to not violate any sort of agreements one may have with their publisher. Not to not be in the spirit of donating, but as there is return being offered some would rather not have their name in the hat 50 times and win books they might not read; some might rather only force the cost of your signature and ink from your pen. That and as some rarely find themselves in English speaking countries due to their own contractual obligations (and might not find themselves in those places again for various reasons) forcing your hand might be ones only opportunity! Also, to echo the sentiments of some posting in this blog; what you’re doing here is awesome Mr. Rothfuss. 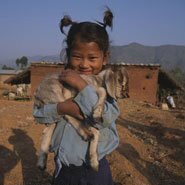 I’ve been to several countries in which poverty is a huge issue (mostly in the aseatic nations), some of these kids could desperately use a goat. Quick question. I wanted to do this with Worldbuilders because of the 50% matching deal, to make my donation go the farthest. I donated $200, and on the Team Heifer page it says I only donated $30 (under the name Matthew Frederickson). I just want to make sure that the whole $200 gets matched, so could you fix that, or would you be able to point out someone who can make it all better? I appreciate it. Also, thank you for introducing Heifer International to me. It’s now my favorite charity. I’m having some difficulty as well with the actual donation amount showing up. In my case it’s showing as zero, even though I’ve got the paypal stub to prove payment. I’m seeing others on the team list with $0.00 as well. Hopefully it’s just a screw up in the display. Okay. It’s good to know that I’m not the only one. :D I can also show a paypal stub. I think mine shows $30 because that’s what I donated last year. 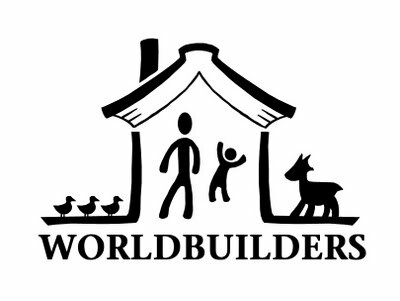 Couldn’t figure out how to donate baby ducks without going off the Worldbuilders link. =( Ah well. It’s still a very good cause! Donated $10. Next paycheck I will donate more. We are already almost to 50% of the goal! Looking forward to seeing the stuff coming into the pot for the raffle. Just wanted to let you know that reading about Worldbuilders a few years ago was inspiring, and I’ve been an automatic monthly donor to Heifer ever since. It’s a fantastic charity! Worldbuilders is my most wonderful time of the year…no kidding. Every year our boys each pick out an animal from Heifer International to donate towards. I feel that the kids can get a more tangible idea of charity when they can actually picture an animal helping a family. Plus it’s warm and fuzzy! So nice that we can do this through world builders and get a 50% match of our donation – even more animals! I guess I should have asked this before donating but it occurs to me that as wonderful as all the lottery prizes are we don’t really need anything, can I ask that if we win our prize goes to the next in line instead? Thanks! If “your ten-dollar donation becomes fifteen dollars. If you donate two goats, it becomes three goats” … what happens if you only donate one goat?? I’d like to donate to Team Heifer through Worldbuilders on behalf of family and friends as Christmas presents. Is there an easy way to do this? I also tried using different browsers, but the result was the same. Please help me. I would really like to donate, but I don’t have a Credit Card and I don’t really understand the Online Check (maybe that’s because I’m from Germany). A (hopefully) quick logistical question here… To those who have their name show up on the site, did you use the “give to this team” button, or the “join this team” button? I used the former, but my name and donation amount are not showing up on the Worldbuilders page at all. What are the differences between the two buttons on the team page? I just want to make sure my donation is going to the right place (with the 50% donation matching, and of course the extra bonus of a lottery entry). Thank you for organizing this wonderful opportunity, Pat, and thank you also to anyone who has a moment to answer my logistical questions! By all means. Have a bakesale. Search the couch cushions. Rally your book club or church group. Show people at work the website then pass the hat. So I think we’re good! sorry I screwed up the linky thing. It’ll still take you to the faq though. Wonderful. Thanks, Not Cooperative; that was incredibly helpful! I did get the confirmation from Heifer, too, so I’m breathing a bit easier. I recently donated by entering “Give to This Team”,, and today I got a confirmation letter in the mail from Heifer thanking me…but the donation was counted in their “General Fund”!! It had NO indication of Worldbuilders 2011. I called Heifer and asked for clarification…she registered my call and said that someone from their headquarters would call me back…? can’t wait for my goodies and goats too! Made it in under the wire with a modest donation. Only thing is, I paid through the Amazon link without signing into the donation webpage. Am I still in for the lottery?